We’d love your help. Let us know what’s wrong with this preview of A Course In Miracles by Anonymous. To ask other readers questions about A Course In Miracles, please sign up. In the CIMS "Original Edition" the paragraphs are numbered to make referencing easier. Since page numbers change as corrections are made and additions entered in brackets from the ur text [i.e. the first typing], one would need the Chapter and Paragraph numbers in order to quickly lookup a quote. Punctuation is also slightly different. When the initial manuscript was typed from the shorthand notes and verbal information added by Helen Schucman [the scribe], it was done on a TYPEWRITER. Typewriters at that time did not italicize and therefore Bill Thetford who was co-scribe and the person who typed it, added those words in CAPS for emphasis. The "Sparkle Edition" has kept those words in CAPS. The "Original Edition" italicized all CAPITALIZATION. The "Sparkle Edition" begins with THE USE OF TERMS which is not in the "Original Edition". The USE OF TERMS was scribed by Helen Schucman in 1975, after the "Original Edition" had been edited for general publication, and contains an explanation as to why the term SOUL was removed. However, besides these minor differences, both the SPARKLE and the ORIGINAL editions give the reader a greater sense of the PERSONAL Companionship in Jesus that the scribe experienced. During the editing: 25% of the first 5 chapters is deleted; paragraphs are rearranged; chapter and section titles, previously inserted by Bill and Helen during their re-typing, are changed; punctuation is changed; CAPITALIZATION, previously included for emphasis, is changed to lower case and, in only a few cases, replaced with italics. The 53 miracle principles are changed to 50. Descriptions of the miracle principles are re-arranged and in some cases obtained from other areas of the text. 127 references to “Soul” are changed to 12. The word “Soul” is either deleted or changed to another word such as: creations, you, spirit." 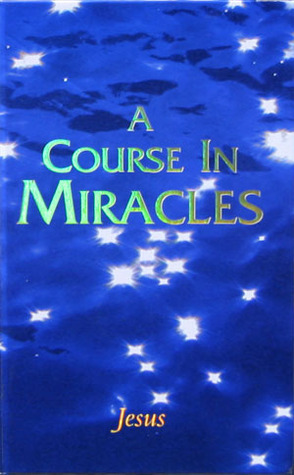 We are incredibly blessed to have the A COURSE IN MIRACLES no matter which edition. Whatever your preference, HIS GUIDANCE is there for us if we open our hearts and let it in! It's truly our way Home. First of all.... the course is not a book you read and then you say whether its good or not, its just not that kind of book. No one who does not take the course AND pass it actually knows what its all about. So that is how much a "Review" means. ACIM is the words of Jesus given us to remember what he remembered. What else do you wanna know? Those who answer the call are the bringers of miracles into the world, as was he when he answered the call. This course is LITERALLY a course in Miracles. God bl First of all.... the course is not a book you read and then you say whether its good or not, its just not that kind of book. God bless all those who take this holy text and accept it as a WHOLE and WHOLLY HELPFUL tool in awakening to what is REAL in US and AS us. I am a student of the Course since 1980. I found the text so difficult to read that I completed my degree in Psychology just to read it and then I paraphrased the text. Now I understand why it was so difficult to understand. The editions I read were not the original, very clear, very easy to read Thetford edition. I am so grateful to have this edition. All future students will be given this edition. Monumental. This edition is my favourite. I felt called to read ACIM in 1992 and found it really tough going. In 1993 I joined a group studying ACIM over 12 months and began to experience the benefits of the Course. 21 years later I find I keep coming back to it. It is a life changing book for those interested in Personal Development and Awaking Consciousness. Books whose authorship is merely uncertain should be attributed to Unknown.